How Many Countries in the World? What is a Continent Exactly? What is a Continental Shelf? The Pacific Ocean is one of the most fascinating oceans in the world. From sheer size to an amazing collection of islands, archipelagos, volcanoes and other physical features, this ocean is an absolute treasure trove. Here is a selection of the most amazing facts about the Pacific Ocean. The word “pacific” comes from the Portuguese word “pacifico” which means “peace”. The ocean was christened by the Portuguese explorer Ferdinand Magellan back in 1521. Having observed the ocean’s tranquil waters, Magellan described them as “mar pacifico” which means “peaceful sea”. The Pacific Ocean was discovered by the Spanish explorer Vasco Nunez de Balboa in the year 1513. This explorer first saw the Pacific Ocean while standing on a mountaintop in Panama. Nunez de Balboa initially described the Pacific as Mar del Sur which means “South Sea”. The Pacific Ocean was first mapped by the Flemish cartographer and geographer Abraham Ortelius. Ortelius (who is credited with creating the world’s first Atlas) named the ocean “Maris Pacifici” in recognition of the name given to the ocean by Magellan. In the 16th and 17th Centuries, the Pacific Ocean was often referred to as the “Sea of Magellan” in honor of the man who made the ocean well known. This tradition faded in the 18th Century when the name Pacific Ocean became more widely used. The Pacific Ocean is located between the Americas (i.e. North and South America) to the east and the continents of Asia and Australia to the west. The Pacific Ocean is divided into two parts by the Equator. The equator runs across the Pacific splitting it into two i.e. the North Pacific and the South Pacific. The ocean currents in the Pacific Ocean vary between the North and South. In the North Pacific, the ocean currents flow in a clockwise direction. In the South, they flow in an anti-clockwise direction. The Pacific is by far the largest ocean on earth. It covers a total area of 65,436,200 square miles. This accounts for about 30% of the search’s surface. The area covered by the Pacific Ocean is larger than the combined land mass of all the continents in the world. The combined land mass on earth is 58,000,000 square miles. This means that the Pacific Ocean beats the land earth’s land mass by more than 7 million square miles. The Pacific Ocean contains 171 million cubic miles of water. This accounts for 50.1 percent of all the oceanic water in the world. 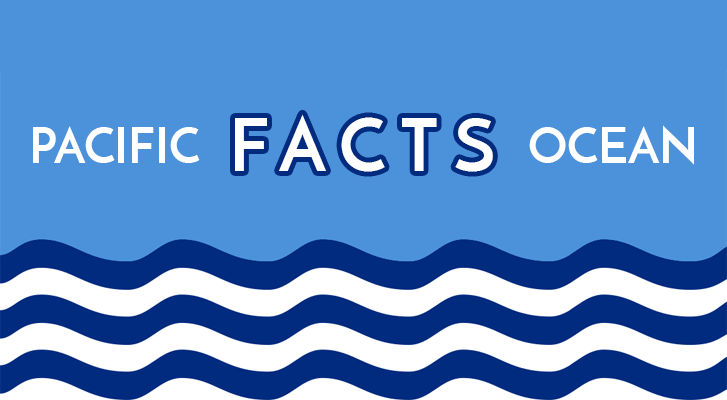 Basically, more than half of all the earth’s ocean water is found in the Pacific. The Pacific is the deepest ocean in the world. The average depth of the Pacific is 14,000 feet. This is more than 3,000 feet deeper than its closest rival (the Atlantic Ocean which has an average depth of 10,900 feet). The deepest point in the Pacific Ocean is Challenger Deep in the Mariana Trench (which is located north of New Guinea and west of the Philippines). Challenger Deep has a depth of 35,837 feet – which makes it the deepest point of any ocean in the world. It is called “Challenger Deep” because it was first researched by the HMS Challenger back in 1875. The Pacific Ocean basin contains about 75% of all the active volcanoes in the world. Most of these are located around the so-called “Ring of Fire” which contains up to 450 volcanoes and often erupts causing earthquakes and Tsunamis. The Pacific Ocean has between 25,000 and 30,000 islands. The exact number is unknown because more islands are still being discovered. Even then, the ocean has the largest collection of islands of any ocean in the world. More than 60% of the islands in the Pacific Ocean make up one country. This country is Indonesia which has is made up of 18,306 islands. The majority of those islands are uninhabited, though – with only 922 islands having permanent inhabitants. The Pacific Ocean has the largest collection of archipelagos in the world. An archipelago is simply a continuous collection of islands. The most famous archipelagos in the Pacific include Hawaii, Indonesia, Fiji, Japan and New Zealand. Indonesia is the largest archipelago in the world (having more than 18,000 islands), followed by Japan which has over 3,000 islands. The Pacific Ocean is actually shrinking by about 1 inch every year. This shrinking is caused by a slow shift in the tectonic plate underlying the Pacific and Atlantic. The result is the slow expansion of the Atlantic Ocean accompanied by a shrinking of the Pacific. Average temperatures in the Pacific vary from −1.4°C (29.5°F) to about 30°C (86°F). The warmer temperatures are found along the Equator, while the cooler temperatures are found near the Poles. The largest living organ in the Pacific is the Great Barrier Reef which is located in northeastern Australia. The Great Barrier Reef covers an area of 132,974 square miles and is the only natural structure which is visible from space. The Pacific Ocean is one of the greatest contributors to the global economy. More than 60% of fish which is consumed in the world is caught from the Pacific Ocean. Among the species fished out of the Pacific are sardines, tuna, red snapper and swordfish. The Pacific Ocean is touched by 5 continents (i.e. Antarctica, North America, South America, Asia and Australia). This makes it the most far-reaching ocean in the world. The Pacific Ocean is the source of almost 90% of the earthquakes which occur on earth. The majority of those earthquakes arise from the Ring of Fire which contains lots of active volcanoes. The most devastating volcanic eruption ever recorded in the Pacific occurred in the Indonesian island of Krakatoa in 1883. This deadly eruption almost blew up the entire island, killing over 36,380 people. The majority of atolls in the world are found in the Pacific Ocean. An atoll is a ring-shaped coral reef surrounding a lagoon. Travel within the Pacific has been going on for more than 5,000 years. As far back as 3,000 BC, the Austronesian people of Taiwan had figured out how to build boats for long-distance travel across the ocean. They traveled to places like Indonesia, the Philippines, and Madagascar – spreading their culture and language. The Pacific Ocean has large deposits of oil and gas. However, due to the depth the ocean, most of the oil and gas cannot be harvested to the fullest. The Pacific Ocean is currently suffering an onslaught of pollution, with the amount of pollution in the Ocean increasing 100 fold over the last 40 years. The Pacific Ocean is home to the bird with the largest wingspan in the world. The Wandering Albatross – which is native to the Northern and Southern Pacific has a wingspan of up to 11 feet and can weigh up to 26 pounds. One of the most interesting weather phenomenon arising out of the Pacific Ocean is El Nino. This is the periodic warming of the water in the Pacific Ocean which has a resultant effect on global weather – leading to temperature rises, storms, and even hurricanes. The first person to fly across the Pacific in an airplane was Charles Kingsford Smith in 1928. He flew from California to Australia on a Fokker F.VII/3m monoplane which he’d nicknamed “Southern Cross”. The second-largest island in the world is located in the Pacific Ocean. It is called New Guinea and has a total size of 317,150 square miles. New Guinea is only second to Greenland – which is the largest island in the world. There are 55 countries which border the Pacific Ocean. The most well-known among them include the United States, China, Mexico, Canada and Japan. The Pacific Ocean is renowned for its typhoons (also known as tropical cyclones). These extreme weather conditions include a combination of heavy rainfall, strong winds, and thunder. When they come ashore, typhoons can be extremely destructive. The first person to ever enter the South Pacific Ocean from the west was the Dutch explorer Abdel Tasman. Tasman sailed around Australia and discovered Van Diemen’s Land (which was later renamed Tasmania in his honor). One of the most interesting creatures recently discovered in the Pacific is the Yeti Crab. This crustacean (which was only discovered in 2005) was called “Yeti” because its claws are hairy like the legendary Yeti. It is also totally blind but uses its hairs to locate its favorite prey of shrimps, mussels, and other shellfish. The smallest country in the Pacific is Nauru. Located in the South Pacific, this country is on an island of just 8.1 square miles. It has around 10,000 residents and is the third-smallest country in the world (after the Vatican and Monaco). The most isolated island in the world is Palmerston in the South Pacific Ocean. This island – which is part of the Cook Islands – is so remote that a supply ship visits it only twice a year. The island has 62 residents – all descended from an Englishman who settled there 150 years ago. The largest coral atoll in the world is located in the Christmas Islands which are found in the Republic of Kiribati. The Central Pacific islands (which are also called Kirimati in the local dialect) have a combined land mass of 150 square miles, and a lagoon of the same size. The largest creature in the Pacific Ocean is the Blue Whale. Measuring up to 82 feet in length and 300,000 pounds in weight, this colossus is the largest whale species in the world. The Blue Whale can live between 80 and 110 years. The textile cone snail is one of the most dangerous creatures in the Pacific. This snail –which looks quite attractive – has a poison which can be deadly to humans. The snail is quite harmless unless you pick it up or accidentally step on it. Its venom can be deadly. What is the Biggest Ocean? What Is The Continental Divide? What Is the Longest River in Europe? The Continents Definition: What is a Continent Exactly? What is the Smallest & Largest Continent by Land Area / Population? 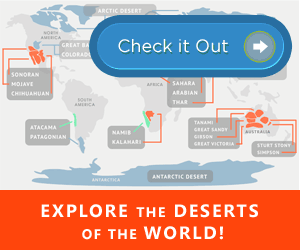 Enjoy exploring the world? Get updates in your inbox! No thanks, I don't Like Learning New Things.